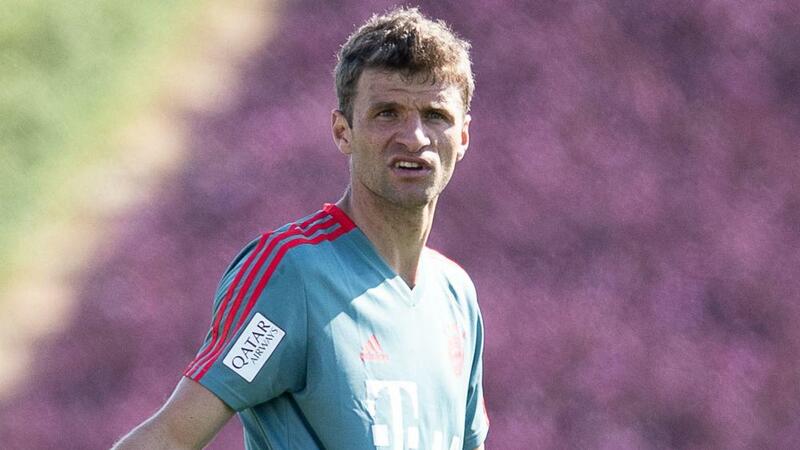 Thomas Muller is set to be unavailable for both legs of Bayern Munich's Champions League last-16 clash with Liverpool after UEFA hit the forward with a two-match ban. The Germany international was sent off in Bayern's final Group E game - a 3-3 draw at Ajax last month - after a dangerous high challenge on Nicolas Tagliafico, which saw him catch his opponent with a boot to the head. Muller was shown a straight red card for his foul and Bayern will seemingly be forced to take on Jurgen Klopp's men without him after UEFA confirmed the suspension on Friday. However, the Bavarian giants swiftly announced their intention to appeal against the decision, branding his challenge a "hard but unintentional foul". The first leg of the tie takes place at Anfield on February 19 before the return at the Allianz Arena on March 13.